How to get fair and glowing skin is rather easy to answer if you know what to believe. Contrary to what print and television ads are preaching, we don’t need to buy expensive skin care products or avail of extravagant treatments just to achieve beautiful skin. Truth is, there are simple, daily routines that you can do to improve the health of your skin. Add proper diet and exercise to the mix and you’ll surely have that wonderful, glowing skin that will shame skin clinics. Washing your face with soap and water should be the first thing you do in the morning and the last thing that you must do before retiring to bed at night. Our skin is composed mostly of water and refreshing your face with clean water before you venture out into the harsh and polluted world is a good practice. In the same breath, washing your face before you sleep at night to remove make-up and other residue is an inexpensive way to prevent irritation and redness. Using a toner is an effective way to clean hard-to-reach areas that soap and water routinely miss. Use it on your nose and forehead and other areas where the skin creases. It is also effective in closing skin pores, making it an easy solution against oily skin. Like washing your face, make the use of moisturizer part of your skin care routine. Use light moisturizer during the day to help your skin stay hydrated, then use a slightly stronger mix at night to help your skin repair itself while you sleep. Dead skin cells are the main reason why your skin looks rough and dry. Having them is perfectly normal, though not great for your looks. You can hasten their removal by exfoliating once or twice a week. You can pick up exfoliating kits from your favorite skin clinic, or opt to have the professionals do the procedure for you while you relax. 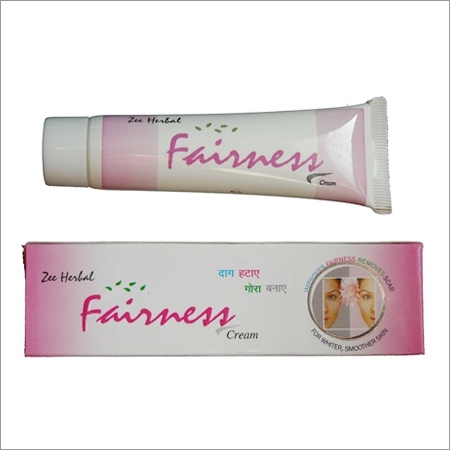 Fairness cream adds a nice glow to your skin by reducing the dark pigments called melanin. Choose one that is chemical free and loaded with antioxidants, peptides, natural extracts from sources like aloe vera, and vitamin C for even better results. Excessive exposure to direct sunlight can make your skin look dry and old. 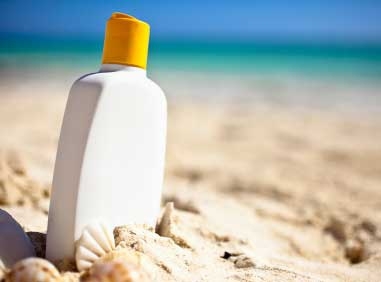 Protect it by using sunscreen every time you leave the house. Ultraviolet rays from the sun can harm your skin even when the sky is cloudy and there is no direct sunlight so it is important to make this a habit even when you feel there is no need for its use. If you are an avid beach goers, use sunscreen that is proven water-resistant, and with higher SPF (sun protection factor) rating for better protection. Eating the right foods is one of the easy ways on how to get fair and glowing skin. What you put into your body will naturally show on your skin, so you might as well eat the right things. No other fruit boasts of higher water content than this highly refreshing summer fruit. Watermelon’s 90 percent water content is a treat for dehydrated skin. The fruit is also rich in antioxidants that fights free radicals and prevent visible signs of ageing. This green, leafy vegetable is packed with vitamins, minerals, and antioxidants. Aside from making Popeye strong, it is also useful in flushing out toxins for a healthy and glowing skin. Just throw in a handful of this delicious vegetable into your salad or use as part of the main dish to receive its healthful benefits. Blueberries, blackberries, raspberries, and strawberries are not only delicious but are loaded with antioxidants that are useful for protecting your skin from the damaging UV rays of the sun. An apple a day not only keeps the doctor away but is also the key on how to get fair and glowing skin. Packed with vitamin C and antioxidants, eating apples can do wonders in preventing premature skin ageing as well as helping keep your skin firm and radiant. This sweet, thorny fruit hides one of the best and natural ways to fight inflammation – bromelain. This enzyme is proven effective in providing relief for sunburn, so don’t hesitate to indulge in its juicy flesh whenever you can. Salmon is rich in several nutrients that are essential in protecting your skin against damages while keeping it healthy both inside and outside. One of them is omega-3 fatty acids which is vital in maintaining the natural elasticity and moisture content of your skin. Another one is selenium that is effective in protecting your skin against sun damage. However, you must make sure that you buy wild salmon to get all these benefits. Stay away from the farm-raised ones. Forget about being a good aphrodisiac, what is assured is that oysters are good sources of zinc, a nutrient that is critical to the repair and re-growth of skin cells. Zinc is also needed for keeping your hair, eyes, and nails healthy and great looking. You will thank this article for giving you a good reason to indulge on one of the most sinful foods on the planet – chocolate. But to lessen your guilt, it is suggested that you opt for dark chocolate, the ones with at least 60 percent cacao content. 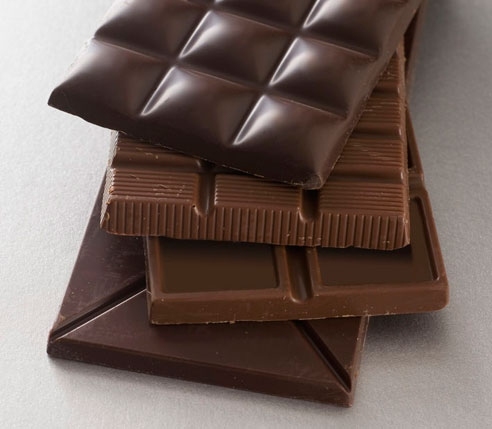 Dark chocolate is important on how to get fair and glowing skin because of its high flavanol content. This phytonutrient is helpful in keeping your skin moisturized and protecting it against sun damage. And no, there is no truth to the rumor that chocolate causes acne.